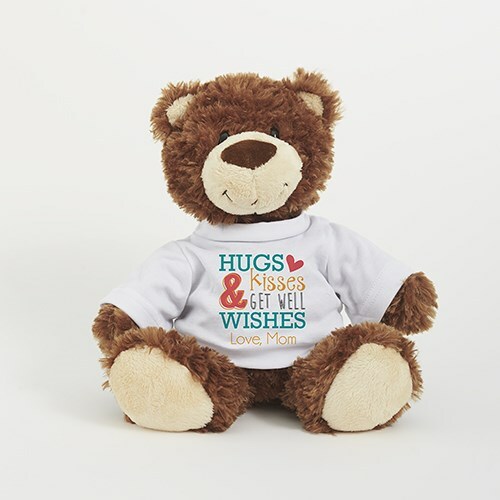 Give someone you love some special hugs and kisses & Get Well wishes with our Smiles bear made of super soft mink touch fur, with black bead-like eyes and a cute embroidered smile. We will add any one line message to make an adorable way to say you care with a cuddly plush bear. Our Smiles bear is approximately 9" W x 11" flat/ 10" seated L x 7" D.
This bear is made of polyester and is surface washable. Additional Details Find a way to brighten up their day with a get well soon bear from 800Bear!